Derby County moved into a play-off position in the Championship with a win over queens Park Rangers. A goal just before the half time interval in time added on by man of the moment Matej Vydra gave the Rams breathing space. Vydra has scored nine goals this season. The game also marked Vydra's 50th game for the Rams. 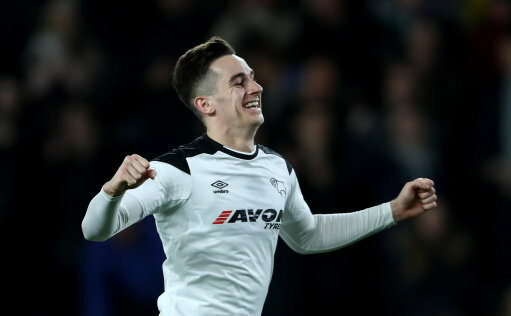 In the second half Tom Lawrence scored his first goal in a Derby County shirt, which hopefully should give him confidence to go on a scoring run as he did last season whilst on loan at Ipswich, scoring 9 in 34 games. The game now sees the Rams in 6th place with a game in hand over the two clubs above them. They move on now to a tough away game against Middlesbrough who are just 3 points behind the Rams in 8th place in the table. A win for the Rams would cement the position and give them breathing space although Nottingham Forest are just a point behind the Rams having played a game more.